The closest thing to a lemon chiffon cake I am finding is at Olive Garden, and I'm rolling my eyes as I say that, too. What's a girl to do? 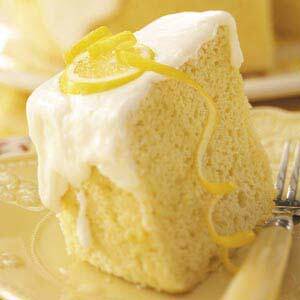 It's such a beautiful day here in Cary, NC--sun is shining, the temperature right now is at 75 degrees, and lemon cake sounds like such a wonderful idea. I'll keep calling around until I find one. Wish me luck.